As we move to target increasing investments from Japan, it is important to understand their people and the sensitivities involved. Guided by common ideologies of Buddhism, tolerance, pluralism, democracy and open societies, India and Japan have enjoyed cultural exchanges for centuries. Being countries with a high degree of economic, political and strategic interests, both see each other as beneficial partners that have the aptness to respond to regional and global challenges. Ever since 1978, when Suzuki Motor Corporation entered the Indian market, the number of investments from the land of the rising sun has steadily risen. As of October 2016, there were 1,305 Japanese companies registered in India, up 13%, as compared to 2013. The Make In India movement has also provided a platform to investors from Japan to make India their next big investment hub. 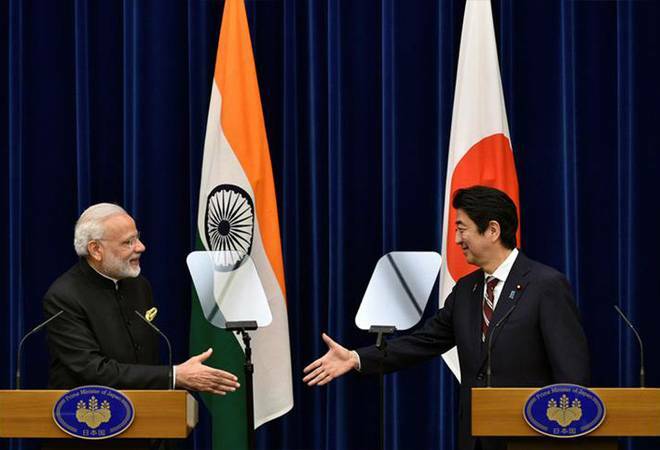 In 2016, during a visit to Japan, Prime Minister Narendra Modi undertook a comprehensive review of the Special Strategic and Global Partnership as outlined in the 'India and Japan Vision 2025'. The aim of this was to facilitate Japanese investments, improve relations between the countries and facilitate the ease of doing business in India. The results of this are already visible, as not only have the number of investments increased, but they have also moved beyond traditional sectors to include IT, food processing, infrastructure and agri-business. As we move to target increasing investments from Japan, it is important to understand their people and the sensitivities involved. It would not be a cliche to say that the Japanese are very meticulous and detail oriented. The initial legwork on a potential transaction could typically start at least a few years ahead of time before a deal eventually materialises. An investment decision is often a fringe or collateral effect of a long and deep relationship with the target Indian company. In our experience, they seldom like to take part in an auction process transaction as they don't work with companies that they have not invested material time and effort in. The initial heavy lifting to understanding the target company and the business is usually done by the operational team with oversight by the corporate development team. The relationship usually begins with a pilot project done together by the Indian and Japanese company and can even involve joint bidding for projects. The Japanese corporate structure is also very hierarchical in nature and care needs to be taken to reach out to the right senior level management, failing which a deal might be lost. For the Japanese investor, decision making is a collaborative and consensus-based process, for which every person in the team in on board before taking any major decision. The Japanese investor is very unique in his style of investing, as compared to his western counterparts. Communication is also key as they are known to be very cautious and take utmost care to ensure any correspondence from their end is not misconstrued. Patience is also a crucial factor in Indo-Japanese investments as the latter devotes a significant amount of time and energy, for a deal to materialise. The Japanese are also detail oriented and due diligence is given priority, as are minute details, like pre-decided seating arrangements during meetings. The personal connect and business fundamentals also play a pivotal role in Japanese decision making. The initial discussions usually begin with the company's strategy and how well a potential investment would affect Japanese business interests and ends with valuation. They abhor companies that have weak systems and processes in place. They are also deeply suspicious of owners that do businesses through kickbacks and other unfair means. Tax delinquency, overtly aggressive accounting and management systems adopted by companies are red flags for them. Unlike American companies, the Japanese take great efforts to understand the local culture. They seldom change the management post-acquisition and on the contrary empower them to take on more responsibility and role in the day to day management. American companies usually like to take total control and can take up even 100% stake in the first tranche of the transaction. In sharp contrast, the Japanese company would mainly and often only invest in Indian companies where the current owners would remain with a significant minority stake in the business. They would ideally not like the Indian business owner's only motivation to do a deal, is to be able to monetise it completely. Japanese also like to second their people to the Indian businesses and vice versa. The Japanese accounting system as it pertains to control is a bit more subjective than the US or Indian system of accounting. If the Japanese company can demonstrate the significant influence on the running of the Board and the company of the target Indian company, their accounting system also lets them consolidate the Indian target company's numbers in their books for as low as 20% equity stake. Nevertheless, in confirming to Indian corporate law perspective, they prefer to take a minimum 26% equity stake. It goes without saying that the Japanese only explore companies where the business and the owners conduct themselves with the utmost integrity. Companies wherein systems and processes are followed are preferred. The icing on the cake for a Japanese investor would be companies where their style of management has already been incorporated into the Indian business with values like just-in-time (JIT), Kaizen etc. Their style of doing business is undoubtedly long-term oriented and an indispensable approach to working with them is to nurture and develop the alliance between all parties involved. However attractive the business may be, they would only invest in Indian companies where they are able to build a relationship with the promoters and top management. The Japanese have their sights set on the healthcare sector, particularly those companies that work with medical technology. Some other areas of business interest also include heavy machinery, electricals, consumer and branded goods. More recently though, they have invested in sunrise sectors like fintech, e-commerce, the Internet etc. Japanese investors ideally like the target company to be in Top 3 in their segment and one that brings something unique to the table. A good brand is an added benefit. Between April 2014 to March 2017, Japan ranked third with eight percent of the total accumulated volume of FDI into India. As a result of Make In India as a catalyst for growth, investments from Japan increased 62 percent from USD 2, 614 Million in FY 2015-16 to USD 4,709 Million in FY 2016-17. The wheels are already in motion for increased business from Japan and the two countries are poised for greater investments in the near future. The author is the Managing Director & Co-Founder of 7i Advisors LLP.